An underwater filmmaker documents the wing section of a F4U Corsair at Midway Atoll. THE NATIONAL OCEANIC & ATMOSPHERIC ADMINISTRATION’S Okeanos Explorer is pretty much continually engaged in expeditions to understand the Earth’s seas and the life in it. In this NOAA posting, Okeanos Explorer scientists/ explorers sought to mark this year’s 75th anniversary of the Battle of Midway and honor the legacy of the men who fought in this pivotal battle. 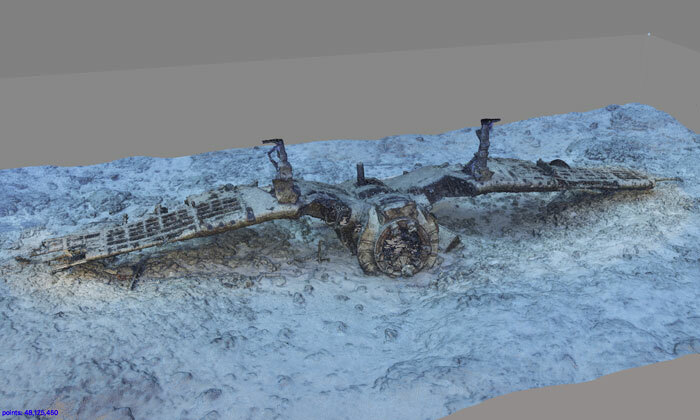 An example of photogrammetry work conducted by NPS photographer Brett Seymour of an upside down F4U Corsair at Midway Atoll. 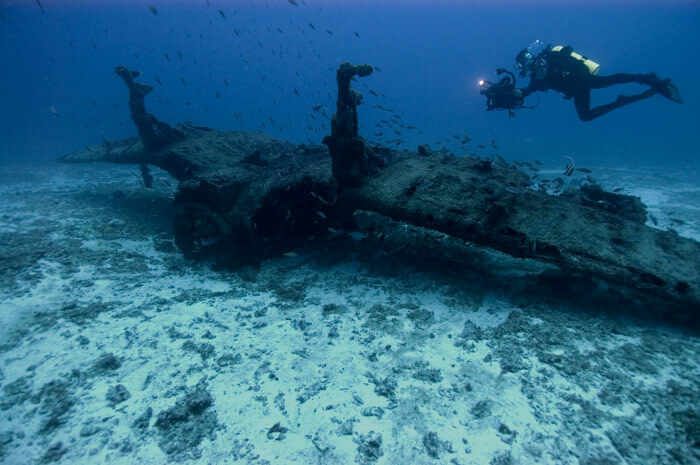 At top, an underwater filmmaker documents the wing section of a F4U Corsair at Midway Atoll. NOAA photo: Tane Casserley. “Warbirds on the Seafloor: Sunken Aircraft Archaeology and the Search for Lost Planes at Midway Atoll” focuses on sunken aircraft sites. In 2000, the Midway Atoll National Wildlife Reserve was designated as the Battle of Midway National Memorial, and a separate site for the Battle of Midway Commemoration details the build-up and execution of the battle.